Flow control valves have the purpose to provide a constant flow, independent of the downstream pressure. The flow is obtained by means of a pressure difference controller using the pressure drop over an orifice. 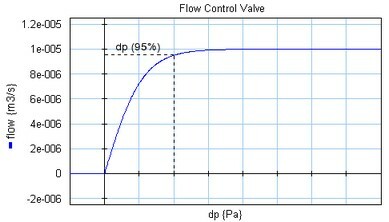 Therefore flow control valves always need a certain pressure drop before the desired flow can be achieved.